Gold Coast Shutters and Fence is one of South Florida's premier hurricane protection companies. Over 20 years experience in the shutter industry serving South Florida. We have over 20 years of hurricane protection experience. We have all types of hurricane shutters to withstand winds of over 140 miles per hour and any condition that may arise. We offer the best selection of shutters in South Florida. Deal directly with the manufacturer and save today !! 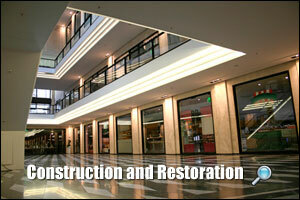 Gold Coast hurricane protection products will help increase the re-sale value of your South Florida home or business. ...knowing that your job is done right the first time around. Proudly serving the Fort Lauderdale, Palm Beach and Miami area with honesty, integrity, loyalty and some of the best prices and service in the industry. We offer a very high quality hurricane protection, Fence and Railings products at the most competitive prices. Broward and Palm Beach Florida building code approved. Hurricane shutters that include; accordion shutters and hurricane impact windows, are the most important protection for could have for your home. Hurricane shutters and impact windows remain the most economical solution for most homeowners to protect window openings in a storm, although hurricane-proof glass is increasingly popular. Prepare ahead of time. Gold Coast Hurricane Shutters and Fence also offers a large selections of fences that include our most asked for product, Aluminum Fences, Railings & Gates, PVC fences, Wood Fences and Chain Link fences. We manufacture a full line of fencing, aluminum fences just has to be the most sort after types of fences in our industry. We also supply aluminum fence for balconies and gates in a wide variety of designs, styles and colors. We are the preferred hurricane accordion shutter and impact windows manufacturer for many home builders and commercial manufacturers. You will find the best savings because we are the direct manufacturer of all of our hurricane products. If you find lower prices on Hurricane Shutters we will gladly try to match them and beat them. We look forward to serving your Hurricane Shutter and Storm Protection needs for many years to come because we believe that hurricane protection is not expensive... It's priceless! Gold Coast Hurricane Shutters and Fence is one of South Florida's Premier hurricane protection companies, serving Broward, Palm Beach, Dade, Martin & St. Lucie Counties. Gold Coast is a customer service oriented company that believes in 100% customer satisfaction. "A note just to say thanks to you & your fine company for your efficient installation" Greg Gumbel CBS Sports.